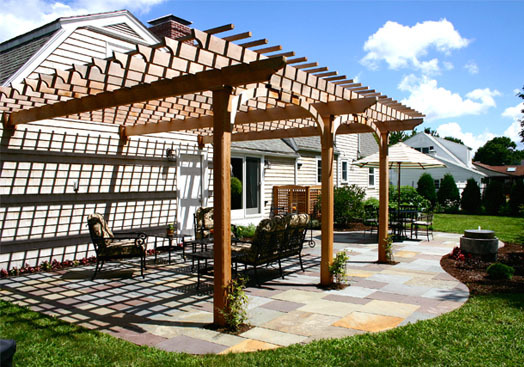 This sun baked patio called out for a garden pergola. 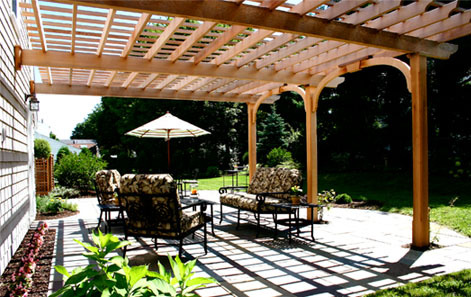 Attached to a garage, this pergola structure creates an intimate and private outdoor room. 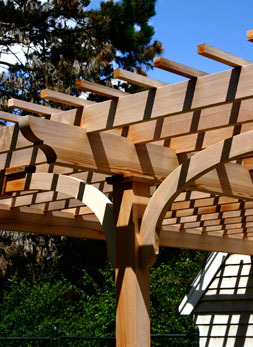 After three years, the structure will be covered in perennial vines providing a significant amount of protection from the sun's rays. 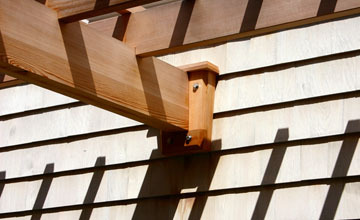 Interesting attachment brackets were designed to facilitate securing the pergola beams to the garage. 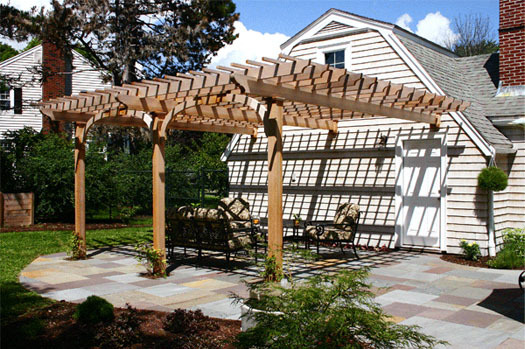 Graceful keystoned arches were employed to aid in the lateral stabilization. 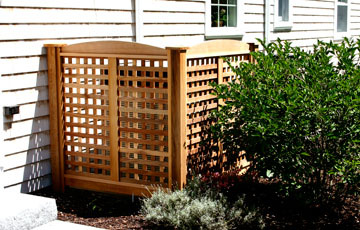 A lattice screen to hide the air conditioning unit adjacent to the patio was also created, completing the attractive ambiance.